The GPS altitude can be measured in the period of the sports,and we have extracted the total height of climbing. 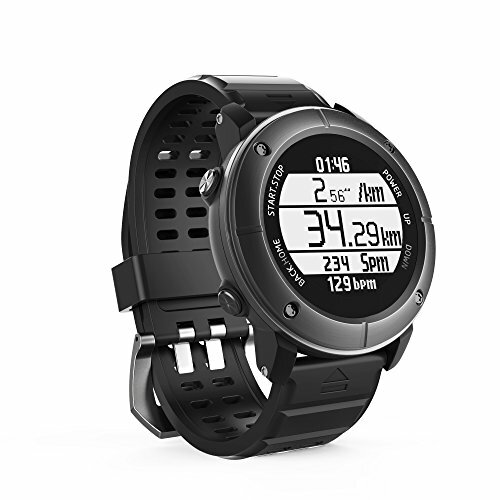 UW80C's smart watch function: GPS, running, riding,treadmill, hiking, marathon, climbing, golf, and compass. Each motion function has a very accurate record of motion data. Waterproof Watch: IP68 level 100 meters deep waterproof, fits for swimming,, 1.2inch screen is always displayed., Corelle chimpanzee toughened glass mirror, anti - resistance and anti - cutting tool. Daily use features: Real-time heart rate monitoring, care for your healthy body, mobile message notification reminder, long standby. Applicable Occasion: sports & outdoors, fit &exercise, climbing, travel. APP supports the sports data sharing and interaction function. Warranty: 2-year warranty guarantee, 30-day refund without any reason. If you have any questions about this product by UWear, contact us by completing and submitting the form below. If you are looking for a specif part number, please include it with your message.